What: In December we will be holding a class for making cakes, biscuits, pies, and bread! We will be baking without refined sugars and using gluten-free flours- offering an alternative to the usual overindulgence at this time of year. 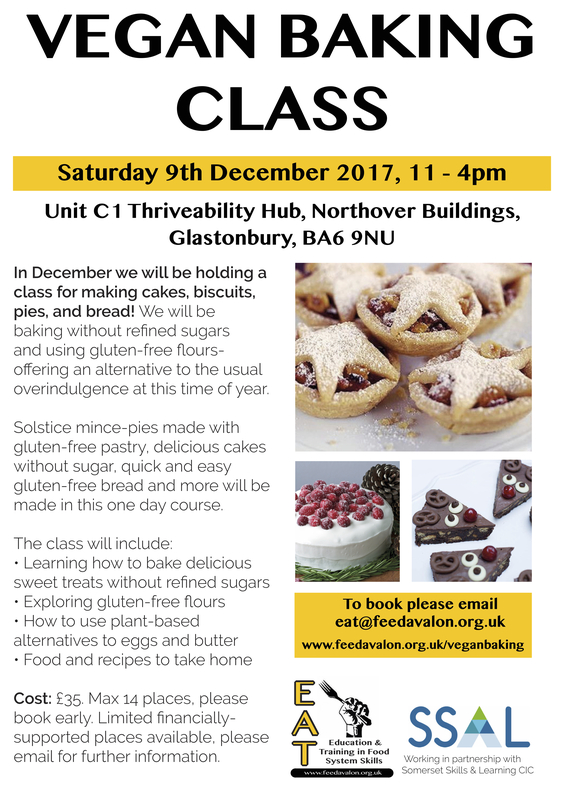 Solstice mince-pies made with gluten-free pastry, delicious cakes without sugar, quick and easy gluten-free bread and more will be made in this one day course. Cost: £35. Max 14 places, please book early. Limited financially-supported places available, please email for further information.